The Volkswagen Golf is a stylish hatchback that delivers agile handling, a comfortable interior, and lots of safety and infotainment features. A certified pre-owned model is a great way to get behind the wheel of an affordable used car that drives like new. 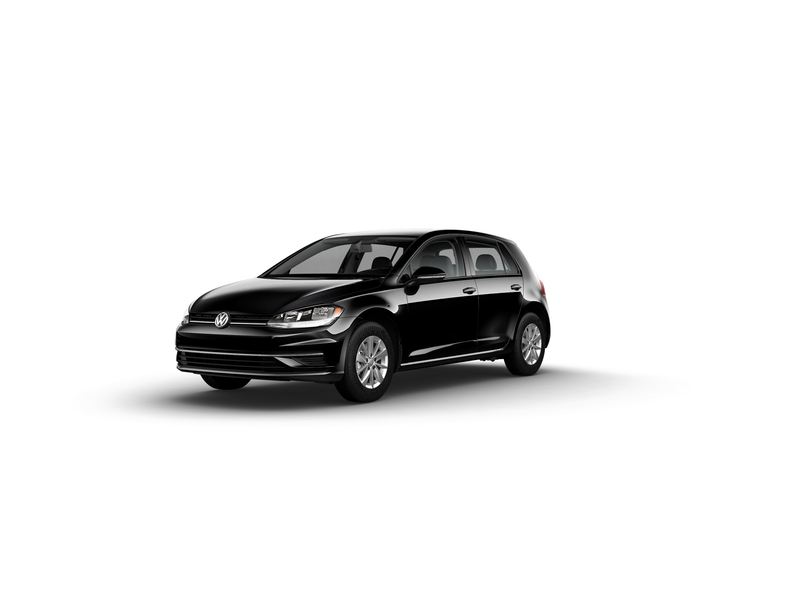 To show drivers in Toms River, Brick, and Freehold why it’s a great option and what it can do for you, Toms River Volkswagen put together this certified pre-owned Volkswagen Golf review. Contact us today to schedule a test drive! The Volkswagen Golf is an efficient hatchback that offers a fun, sporty drive with a 1.8L TSI® turbocharged 4-cylinder engine that gets up to 170 horsepower and 184 lb-ft of torque. This gets paired with a standard 5-speed manual transmission. However, a 6-speed automatic with Tiptronic® and Sport mode is also available. The Tiptronic® feature lets you take control and shift manually without a clutch. The cabin of the certified pre-owned Volkswagen Golf has seating for up to five people and features enough style to back up its sporty performance. There’s a choice between comfortable cloth or sleek V-Tex leatherette seats, plus there’s a leather-wrapped sport steering wheel and gearshift knob. Behind the back seats there’s a large trunk. If you ever need to make room for more cargo, you can fold down the 60/40 split-folding rear seats. Up front, the dashboard offers lots of features on either a 6.5- or 8-inch touchscreen. That comes with the Volkswagen Car-Net® App-Connect system and lets you connect your smartphone with Bluetooth®, Apple CarPlay™, Android Auto™, or MirrorLink®. This gives you the freedom to make hands-free phone calls, stream your favorite music and podcasts, and use some of your smartphone apps. 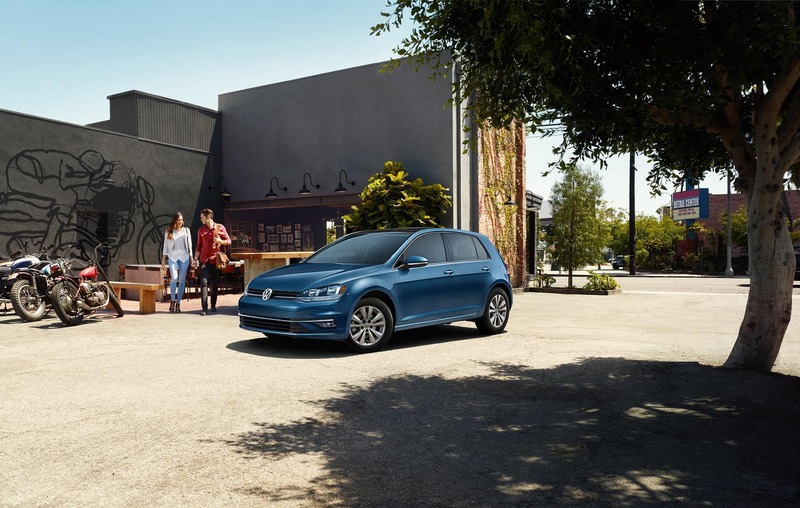 There are lots of safety and driver assistance features inside the certified pre-owned Volkswagen Golf to give you peace of mind. For starters, there are six standard air bags including Side Curtain Protection® head airbags that cover both the front and back seats. To make sure you’re strapped in tight, the driver and front passenger seat each have standard seat belt pretensioners. The back seats are fully capable of protecting small children with Lower Anchors and Tethers for Children (LATCH). Moving back to your dashboard, the infotainment screen doubles as a driver assistance feature. When you shift into reverse, the screen located on the dashboard shows you what the Rear-View Camera System sees behind you. On top of the camera, you can get more awareness of what’s around your car with intelligent features like Front Assist, Rear Traffic Alert, and a Blind Spot Monitor. Visit Toms River Volkswagen to test drive a certified pre-owned VW Golf. It offers an athletic performance and lots of great features to drivers in Toms River, Brick, and Freehold. To learn more about this certified pre-owned Volkswagen Golf review and what it can do for you, contact us or visit our dealership.